Tyler has an extensive career in the golf industry as a competitor, adviser and industry expert. Tyler has competed successfully on multiple levels as an amateur from local, state and national tournaments. He holds fitting certifications from all the major manufacturers with an emphasis on Ping, Titleist, Cobra, Callaway and Taylormade. Mike has been playing golf for 15 plus years and currently a single digit handicap. He graduated from the Golf Academy of America in the fall of 2008. He has been on both side of golf, from the green grass to retail stores. Mike is a certified fitter from Titliest, Taylormade, Mizuno, Callaway, Ping, and Bettinardi. Scott has been in the Golf Industry for 22 years. He started on the Grounds Crew at Oxbow Country Club in North Dakota while attending school. Scott has Fitting Certifications from: Ping, TaylorMade, Mizuno, Cleveland, Callaway, Adams, Titleist, Bettinardi, and Cobra. Scott was the 2ndswing Ping Fitter of the Year in 2012, TaylorMade Fitter of the Year in 2011, and the Mizuno Fitter of the Year in 2011 and 2012. He works with some of the best amateur players in the region. Mike has been in the golf industry for 11 years. He played High School Golf for Edina West and Collegiate Golf for Bemidji State. Mike has carried a single digit handicap for 32 years and has participated in a number of MGA Amateur events over the years. Mike has Fitting Certifications from: Ping, TaylorMade, Titleist, and Mizuno. Brian has been in the Golf Industry since 2007. He is an accomplished amateur golfer and competes in a numerous Amateur events around the state. Brian has Fitting Certifications from: Mizuno, Ping, TaylorMade, Titleist, and Callaway. Aaron has been in the Golf Industry for 8 Years. He has carried a single digit handicap for 16 years and competes in a number Amateur events around the State. Aaron has Fitting Certifications from: Ping, TaylorMade, Adams, Titleist, Mizuno, Callaway, Cleveland, Cobra, and Bettinardi. He was the 2ndswing Bettinardi Fitter of the Year in 2011 and 2012 as well as the TaylorMade Fitter of the Year in 2012. 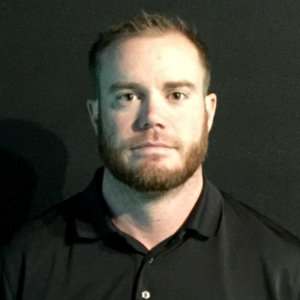 James has worked in the golf industry for six years as both an assistant golf professional and as a master clubfitter. 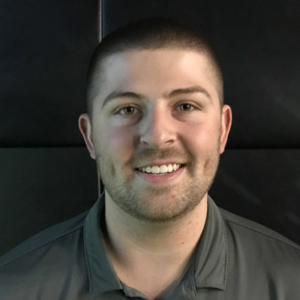 James has managed club fitting facilities in Minnesota, Florida, and California and has worked with many golfers ranging from beginners to PGA and LPGA Tour players. James has Fitting Certifications from: Taylormade, Adams, Titleist, Ping, Callaway, and Mizuno. Chris has been in the golf industry since 1998. He is a graduate of Ferris State Universities Professional Golf Management program and was elected to membership in the PGA of America in 2007. 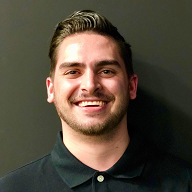 Prior to joining the 2nd Swing staff Chris was employed as professional staff at some of the top golf courses and resorts in America including The Pinehurst Resort, Sea Island Golf Club and The Monarch Beach Golf Links. Mack has been a club fitter with 2nd Swing for over two years. He graduated with honors from the Golf Academy of America with a degree in golf management. He is passionate in his belief that club fitting can benefit all golfers from beginner to elite professional. Mack is certified with Ping, Callaway, Mizuno, Taylor Made and True Temper. Scott has worked in the golf industry for over four decades. He became a PGA member in 1991 and has vast experience in golf operations, management, sales/marketing and customer service. 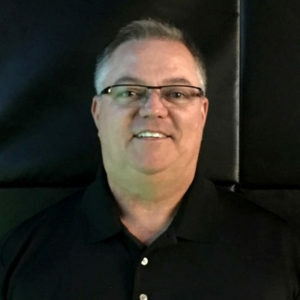 Scott worked with a major equipment manufacturer for 17 years where he managed the training and certification of club fitters around the world. Played Division 1 golf at Kent State including All-American (1994) and Academic All-American (1994). Turned professional in 1995 and played mini-tour golf until 2008. Left professional golf after 2008 and went to work for Scratch Golf Clubs as PGA Tour Representative providing equipment support to Web.com and PGA Tour players. Kevin has been fitting for 9 years, has worked with some of the best players and is fitting certified by the top manufacturers. Cory provides all around experience for golfers having worked at some of the best golf courses in America. Before joining 2nd Swing‘s award winning fitting team, Cory developed his teaching expertise. Cory’s experience will help you identify clubs that compliment your unique swing. In addition to being a top fitter, Cory is certified by the manufacturers and Trackman. Alex has worked in the golf industry for five years. He has performed fittings throughout the region for both green grass and retail stores. Alex has Fitting Certifications from: Callaway, Ping, Titleist, Mizuno, Cobra and Taylormade. Schedule your fitting now with one of these award-winning certified fitters.